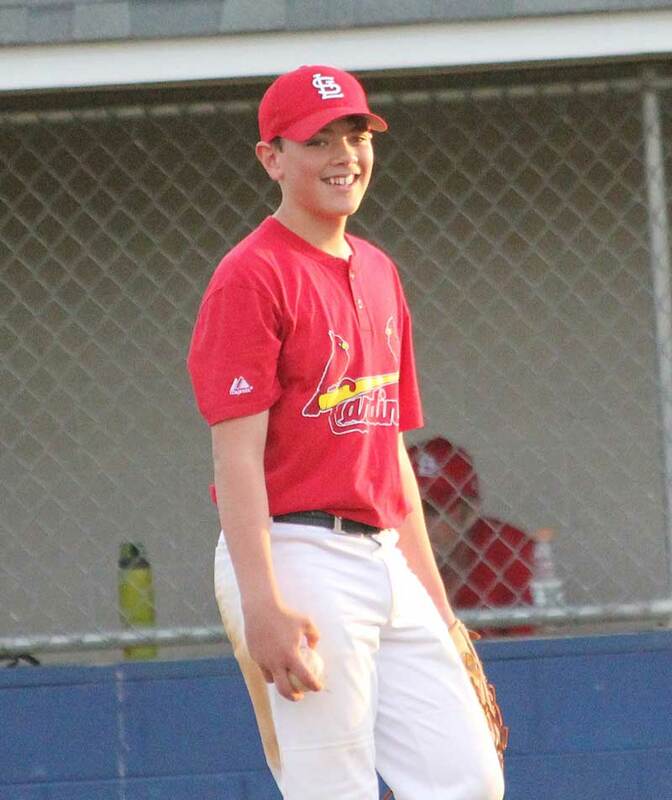 Theron Schilling, who plays for the Cardinals in the Unionville Recreation Association Major League — and umpires games for the organization's Rookie level — is the first URA Athlete of The Week. As a Unionville Recreation Association Board Member, Commissioner and Coach – I routinely receive complaints about the website, the uniform colors, dirty bathrooms, Little Johnny not being on his best friends’ team, the weather, the umpires and referees, rules, game schedules – you name it. However, when you receive an e-mail about that one player who did something to exceed expectations, it erases all the negativity and makes you remember why we volunteer our time – it’s because we reach some children beyond the playing field. As he walks around Hillendale Elementary, this fifth graders’ 6-foot-plus frame makes him easy to spot, unless of course he is hanging out in the teacher’s lounge. His physical attributes make him what many would call a man among boys. But in my eyes it is what he does off the field that makes Theron Schilling a true man among boys and the first recipient of The Unionville Times‘ URA Athlete of The Week. I recently received an e-mail from Rookie A Blue Claws Coach Chris Parise, who had shown up at a rain soaked baseball field 1 hour prior to game time. Parise wrote that as he stood alone and looked at the muddy field in dismay, wondering if this would be yet another washout for his team, 11-year-old Theron Schilling approached him extended his hand and introduced himself as the umpire for their game. With that, Schilling proceeded to walk all over the sprawling URA complex in search of some materials to help dry the field. He was instrumental in finding equipment and physically moved multiple carts full of dirt and raked and top dressed the field to get it safe and ready to play. Schilling then went to his position to umpire the game for the 7 and 8 year old boys. Theron, URA thanks you for your commitment to giving back to the community and your willingness to go the extra step to get the job done. Thank you for your help and congratulations on becoming the first recipient of the Unionville Times URA Athlete of the Week!